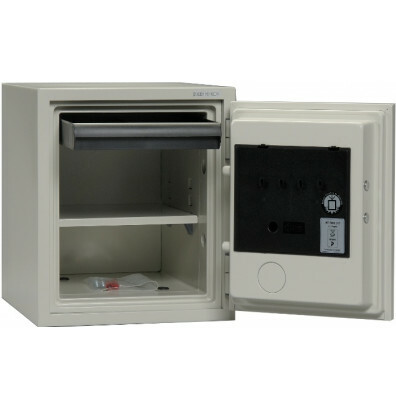 The Phoenix 1222 Fireproof safe is an ideal for the corner of a closet or hidden beneath a desk. 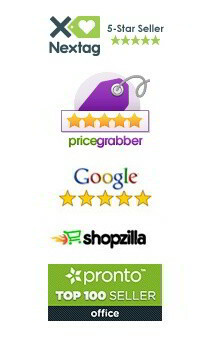 Its extremely attractive white finish complements any home or business and disguises a spacious interior. A one-hour rating and the ability to be bolted to the floor makes these fire proof safes a highly secure, worry-free location for documents and cash. 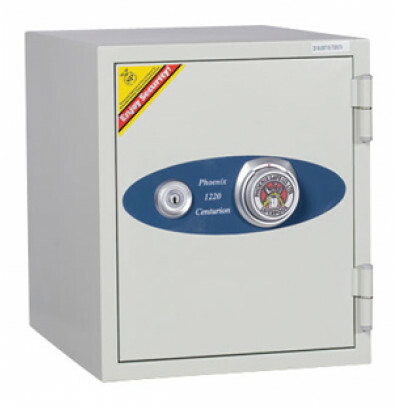 For primary security these safes are fitted with dual control key and 4-numeric combination locks. For added security a bolt-down kit is included to bolt the safes to the floor, and intumescent plugs. These plugs expand in the presence of heat, sealing the safe and maintaining protection during a fire. The body is constructed from galvanized steel plate with a virtually airtight recessed curvature door, which prevents fire and smoke damage to the contents. Two dead bolts secure these safes on the hinge side. If the hinges are ever removed, the safe still cannot be opened. This item ships via UPS/FedEx Ground. If this Phoenix file cabinet is ever damaged by a fire while still owned by you (original owner), Phoenix will replace the unit free of charge provided that a photo and fire department, police, or insurance report are available.